Year end school holidays was too long! Almost 6 weeks of no school and for a stay at home mum with two boisterous kids it means goodbye to quiet personal time that is so important to my sanity. 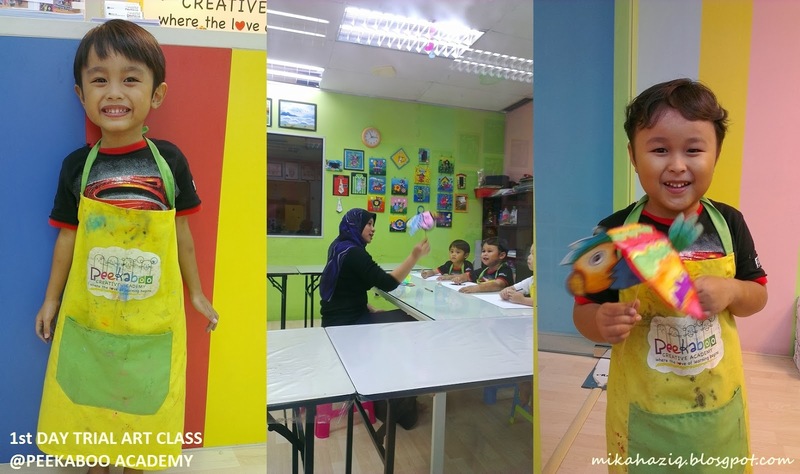 So, when I saw a flyer for peekaboo academy's holiday classes while grocery shopping at Tesco Mutiara Damansara, I thought to myself why not? I finally went up to the Mezzanine Level of Tesco Mutiara Damansara for the first time in December. The place was surprisingly big and cheerful. There is a section for cooking class, another for arts and craft class and another area for dancing class. The man manning the counter was quite chatty and I signed up for $78 (per child) for 3 trial classes. I chose of course dance class, cooking class and arts and craft class. Seems like a pretty good deal and I can have a bit of sanity time. The first trial class came and it was for a Korean Hip Hop dance class. I had pre-empted my kids the morning before setting off for the class that they are going for a dancing class in the afternoon. 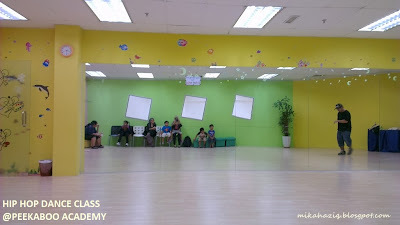 Kids were pretty excited until we went into the dance class, the instructor was warming up with some dance moves while waiting for the class to start. When it was time, he closed the door and just said "Ok, let's warm up. Those with sandals / shoes please take your shoes off, those with ballet shoes its ok". That's it. No warm introductions and no big smiley face. 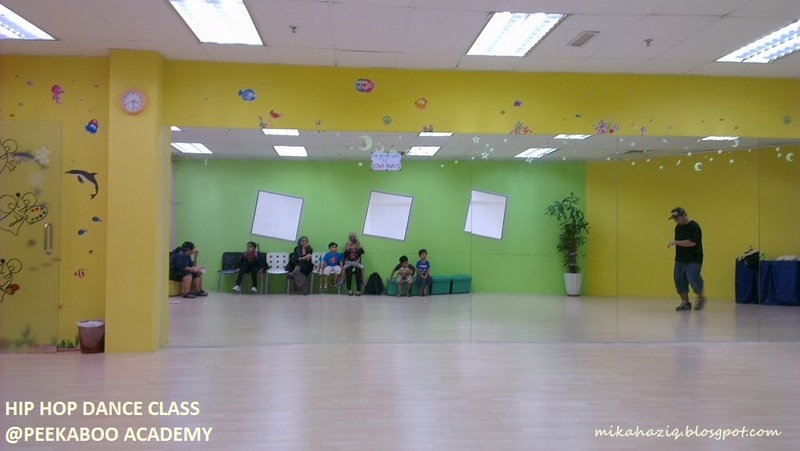 Warm ups are also done with him facing the mirror and not facing the kids (Ok, so I have never been to a dance class before, I don't know how it's usually is like but hey, aren't we dealing with kids here? surely the instructor needs to be kids friendly?) My clingy kids refused to move forward and take part in the class. I tried to cajole them for 5 minutes but seems like they are really not going to budge so I took them out and asked to reschedule for 2 arts and craft classes + 1 cooking class instead. Initially, the lady manning the counter said no but after talking (nicely) she relented. Phew. The next week came the kids arts and craft trial class. 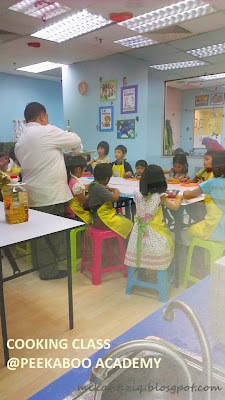 We came early and had breakfast at QBistro and arrived at Peekaboo Academy at 11.00am. Waited for 10 minutes before the art teacher arrived quite breathless I should say. The other grandparent waiting to drop off his grandson came earlier than me and was a bit miffed that the teacher is late. There were only 3 boys and 1 girl for that session and the art teacher was soft spoken and kind so my kids were quite happily doing the craft. Second trial class came with a bit of drama. The centre was again opened late at 11.10am, more kids waited for this session and then while we were writing down our names, an annoyed lady appeared saying she has been calling since 10 am to ask for directions but no one picked up the phone. The teacher was a bit perplexed (I mean which worker likes to be scolded for something that is beyond her control especially when it was her off day and the admin girl decided not to turn up that day?) 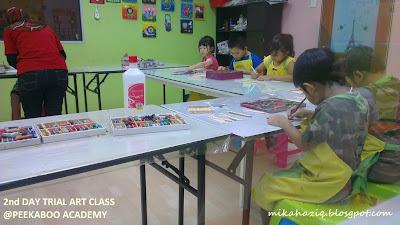 Then the lady asked what time is the arts and craft class and the teacher assumed that she is asking for the next class so she said it's at 1pm. The lady left with the words: "I would like to talk to someone in charge when I am back" Ooookayy... even though I can understand her feelings of being lost and couldn't get through the centre, I also feel for the teacher and that episode changed the whole atmosphere of the class and the teacher's temperament, so she was slightly less patient with a student who was a bit fidgety that day as compared to the first day (the boy was in the class with my kids in the first trial as well and she was very patient with him that day). 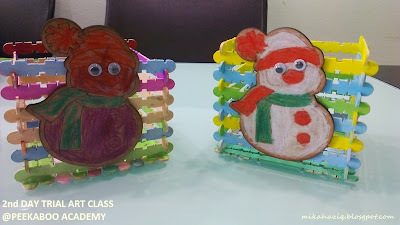 The second arts and craft class went quite ok for my kids except that half way through my 3.5 year old came out and told me that the "teacher" scold me and said that mine is not nice. The "teacher" being the lady that manned the counter during their hip hop trial class (who came later and I am assuming is part of the management) not the arts and craft teacher that was at the receiving end of one of the guardians' displeasure. "Not Nice" just because they are doing a snowman and my kiddo decided he wants the snowman to be purple instead of white. Really? I was pissed off but bit my tongue. My son took that remark seriously and was not proud of his craft that day. I was very sad. He kept repeating "teacher scold me and said mine is not nice" It broke my heart. 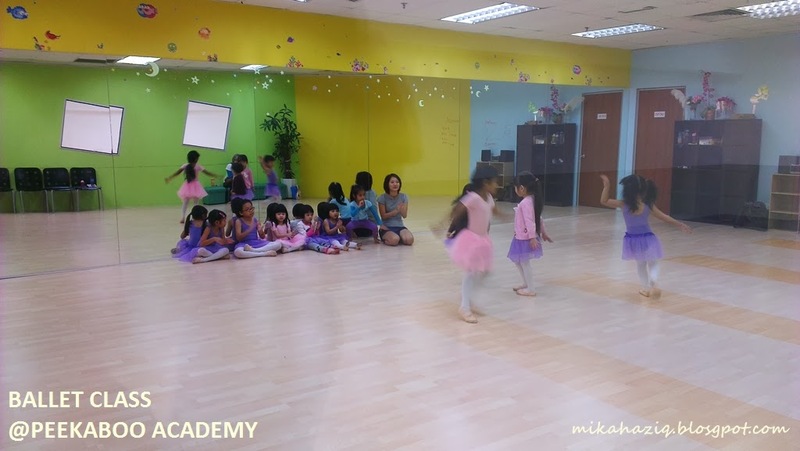 While waiting for them, a ballet class was ongoing and the kids looked like they were really enjoying themselves. The teacher looked very kind and had good rapport with the kids. I asked whether the same instructor teaches boys and they said no. Sigh.. I am sure my kids will love being in her class (not ballet though - any kind of creative dance just for fun). 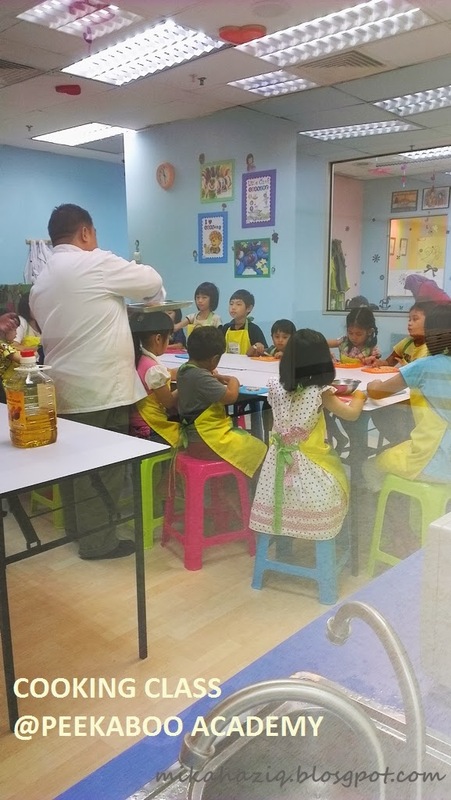 I am unsure of signing on my kids with Peekaboo Academy since I think the lady that helps with the arts and craft class should be more sensitive to younger kids but the cooking class was great and is also a good exposure for my kids.. so maybe its a yes? Peekaboo Academy has two branches, one in Mutiara Damansara and the other in Kota Damansara. You can find out about their courses and fees here.